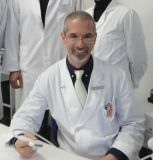 Marco Ruggiero was born in Firenze, Italy, in 1956, He holds a PhD in Molecular Biology, is a Medical Doctor specialised in Clinical Radiology, and has been professor of Molecular Biology at the Department of Experimental and Clinical Biomedical Sciences of the University of Firenze, Italy for more than 20 years (1992-2014). Since 2013, he is Director of Science at Immuno Biotech Ltd., Guernsey, Channel Islands, Great Britain. He served in the Italian Army (NATO) as Medical Lieutenant with specific training in chemical, biological and nuclear warfare. He worked at Burroughs Wellcome Co., North Carolina, USA publishing a seminal paper on signal transduction with Nobel Laureate Sir John Vane and, subsequently, at the National Cancer Institute of the NIH in Bethesda, USA, working with Dr. Stuart A. Aaronson and Prof. Peter Duesberg. He has published more than 150 peer-reviewed scientific papers on signal transduction, reporting original observation in the fields of neurosciences and cancer. In 1987, he published a paper on the molecular mechanisms underlying the processes of learning and memory in the prestigious EMBO (European Molecular Biology Organisation) Journal of the Nature Publishing Group. Ever since, he published several papers in those fields of neurosciences that are associated with autism. The last paper published on this topic together with Dr. James J. Bradstreet in Frontiers of Human Neuroscience (associated with Nature Publishing Group), describes the neurological alterations in the brain of autistic children and the use of ultrasonography in the diagnosis and treatment of autism. In 2014, he has developed an integrated protocol for the treatment of autism spectrum disorders that led to significant successes, with some autistic individuals fully recovering from the disease and able to resume a completely normal life. Some of these clinical reports were described in the popular press.